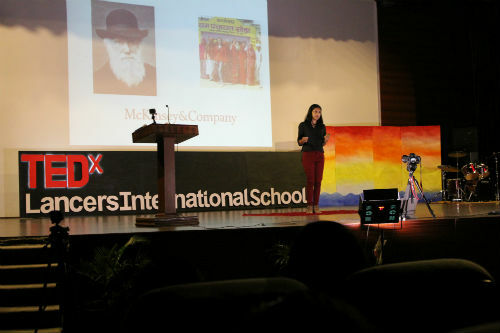 Gurgaon: Eminent young speakers converged at Lancers International School emphasizing the need of compassion and social understanding in today’s world. The event kick started at 9 A.M and continued till 2 PM. 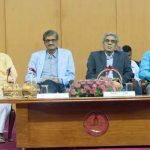 The event brought great excitement and energy on the campus among students, faculty, participants and the distinguished speakers who lit the stage with great words around the theme ‘Compassion’. The event also provided a great networking platform for students and speakers alike. Some of the eminent speakers at the event were Gatik Chaujer, TransForME Learning Founder, Soumya Tejam, CEO and Founder, Bookbite, Vaishali Gauba, journalist, Vimarsh Rana, Founding Mentor of Genebandhu and Deepanshu Khandelwal, Founder, TechPortal. The event received an overwhelming response from students. “It was inspiring to have eminent speakers on one platform and share their experiences. I look forward to attending more such events in future,” said Kovida Chhikara, a student of Lancers International School. These local, self-organized events are branded TEDx, where x = independently organized TED event. The TED Conference provides general guidance for the TEDx program, but individual TEDx events are self-organized (subject to certain rules and regulations).